Click here for more information and to download the reports. 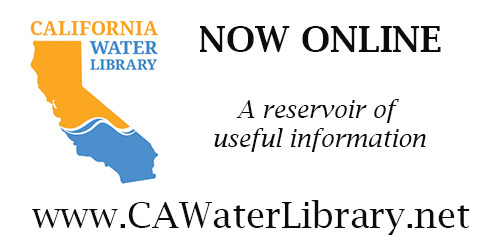 The California Department of Water Resources (DWR) Division of Safety of Dams (DSOD) today released updated information on the 1,246 dams under the state’s jurisdiction, listing each dam’s downstream hazard classification, condition assessment, and reservoir restriction status. The 2018 update reflects several changes, including adjustments to some hazard classifications based on inundation maps submitted by dam owners as required by Senate Bill 92 (Committee on Budget and Fiscal Review). The downstream hazard is based solely on potential downstream impacts to life and property should the dam fail when operating with a full reservoir. This hazard is not related to the condition of the dam or its appurtenant structures. DSOD engineers and engineering geologists assess dam conditions based on annual physical inspections and comprehensive re-evaluation studies, as well as technical analyses submitted by dam owners. This information can change from year to year as new deficiencies are identified and others are remediated. If DSOD identifies an issue that presents a significant dam safety concern, it may place restrictions on a reservoir’s operations until deficiencies are corrected. The 2018 update also includes dams taken out of, or brought into DSOD’s jurisdiction. Over the past year, five dams became non-jurisdictional by either being completely removed or reduced to less than jurisdictional size. Two existing dams were added into DSOD’s inventory. California continues its efforts in the statewide bolstering of dam safety. New legislation requires inundation maps and emergency action plans for all significant, high, and extremely high hazard dams and their critical appurtenant structures. In addition to continuous re-evaluations since the 1960’s, currently underway is a focused re-evaluation of spillways of 93 dams similar to Oroville. DSOD also continues its efforts on seismic re-evaluations of dams and their appurtenances, which located near active faults and in densely populated areas. More comprehensive than physical inspections, re-evaluations are used to identify dam deficiencies, which often take many years and hundreds of millions of dollars to address. Recently, the seismic rehabilitation of DWR’s Perris Dam was completed after four years of construction at a cost of $122 million. The project resulted in the dam’s condition assessment improving from fair to satisfactory. The State Water Contractors (SWC) is pleased to announce the hire of Darcy Austin in the organization’s newly created role of Science Manager. As Science Manager, Ms. Austin will oversee the SWC Science Program, including continued partnership with other organizations dedicated to research-based management, engagement in collaborative science activities, and investment in cutting-edge technologies and research approaches to advance our collective knowledge on Delta ecosystems. The SWC is part of the scientific community, directly investing over $2 million annually in science and research. 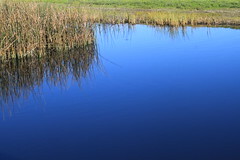 Together with state and federal agencies, academic institutions and experts in the private sector, the SWC and its members are contributing to California’s knowledge bank on estuarine and freshwater environments and best practices in water supply management. With more than 20 years of public- and private-sector experience in water, Ms. Austin joins the SWC from the Delta Stewardship Council’s Delta Science Program, where she managed the science-based adaptive management unit. Prior to that, Ms. Austin served as the Acting Chief of Science Communications for the United States Geological Survey’s (USGS) California Water Science Center. She has a master’s of public health degree in environmental health from California State University, San Diego, and a bachelor’s of science in biology from Colorado State University. In her role, Ms. Austin will be responsible for soliciting proposals for research and supporting authoring articles to be published in professional, scholarly and scientific journals. In addition, she will be selecting and managing consultant contracts, giving presentations to scientific and technical audiences, policymakers, boards of directors and stakeholders, and working collaboratively with biologists and scientists from other resource and regulatory agencies and stakeholder groups. The SWC is committed to discovering more about California’s unique ecosystems in order to solve the state’s toughest water supply challenges and strike a balance between meeting the water needs of 25 million Californians, more than 750,000 acres of farmland, and protecting fish and wildlife species that make the state’s waterways their home. 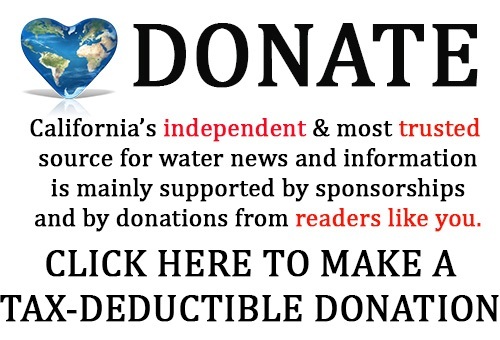 The State Water Contractors is a statewide, non-profit association of 27 public agencies from Northern, Central and Southern California that purchase water under contract from the California State Water Project. Collectively the State Water Contractors deliver water to more than 25 million residents throughout the state and more than 750,000 acres of agricultural land. 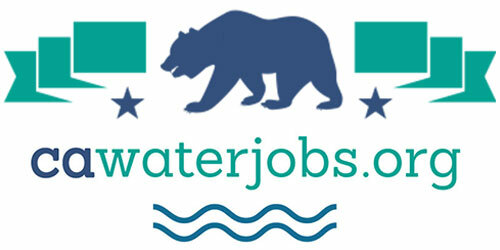 For more information on the State Water Contractors, please visit www.swc.org. On Thursday morning a drone flown by a contractor for the Los Angeles Department of Water and Power (LADWP) crashed, sparking a fire on ranchlands that LADWP has dewatered as part of a plan to export more water from the Eastern Sierra to the City of Los Angeles. 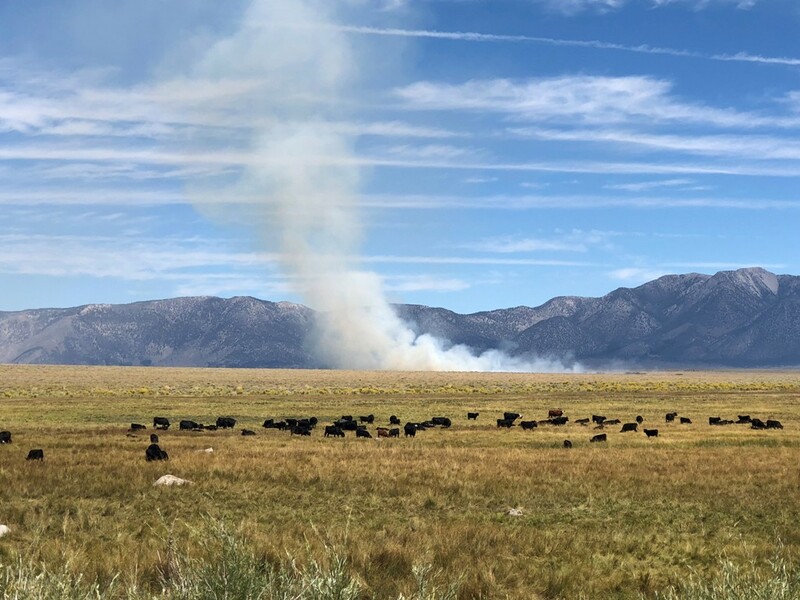 According to preliminary reports from the U.S. Bureau of Land Management’s and the Inyo National Forest Service’s Owens Valley Interagency Communications Center, the crash occurred at approximately 11:20 AM starting a fire near McGee Creek northwest of Crowley Lake. The fire continued for more than two hours, burning approximately 10 acres, before being contained at approximately 1:45 PM. As of late Thursday, the fire was still smoldering and smoking and officials were still monitoring the area. The drone was flying above Los Angeles-owned lands in Long Valley that have historically been leased for ranching. According to local sources, the purpose of the flight was to monitor the effects of LADWP’s dewatering on Bi-State Sage Grouse, a species proposed for listing under the federal Endangered Species Act. The helicopter-style drone was approximately nine feet long. By early Friday, the cause of the crash remained unknown. LADWP’s dewatering has browned and dried the landscape of southern Mono County. Earlier this year, Secretary of the California Natural Resources Agency, John Laird, warned LADWP that its actions and failure to perform the requisite environmental review could cause environmental impacts, specifically explaining that LADWP’s dewatering would “significantly increase the risk of wildfires, which would threaten nearby communities.” Yesterday, officials from the Long Valley Fire Protection District confirmed that the ranchlands where the fire occurred is extremely dry. Valley Fire Protection District chief Fred Stump. On August 15, Mono County filed litigation challenging the decision of the City of Los Angeles and LADWP to alter decades of water and land management policies by dewatering these ranchlands in Long and Little Round Valleys. The lands provide habitat for Bi-State Sage Grouse, enhance scenic, recreational and habitat values in the Eastern Sierra, and serve as pasturelands for agricultural operations which contribute to the Eastern Sierra economy. The County’s lawsuit asserts that LADWP violated the California Environmental Quality Act (CEQA) by changing its land and water management practices without first analyzing the potential significant effects, including, ironically, the increased threat and risk of wildfire. Set on the eastern slopes of California’s Sierra Nevada Mountains, Mono County is a rare environment of natural contrasts and open spaces with only 14,000 residents and a tourism- and agriculture-based economy. Soaring granite peaks and spacious desert vistas, bubbling hot springs and cold mountain streams, winter snows and sunny summer skies, rolling sagebrush hills and vibrant wildflower meadows. “Mono” in Paiute means “beautiful,” which aptly describes this scenic wonderland that stretches 108 miles from the Alpine County border in the north to the Inyo County border in the south. Originally formed in April 1861, Mono County includes the Town of Mammoth Lakes, the northern area communities of Coleville, Topaz, and Walker, and the southern area communities of Crowley Lake, Benton, Chalfant, June Lake, Lee Vining, and Mono City. More than 90 percent (approximately 3,000 square miles) of Mono County consists of federal or state public lands visited annually by more than 4 million people. The City of Los Angeles owns approximately 50 percent of the private land in Mono County.